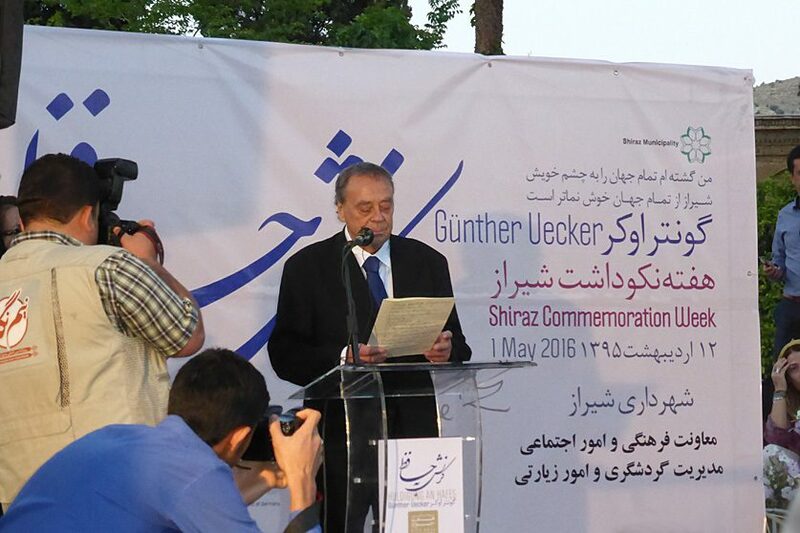 In May 2016, Günther Uecker presented for the first time his work cycle “Homage to Hafez” at the Hafezieh (Hafez’ tomb) in Shiraz. 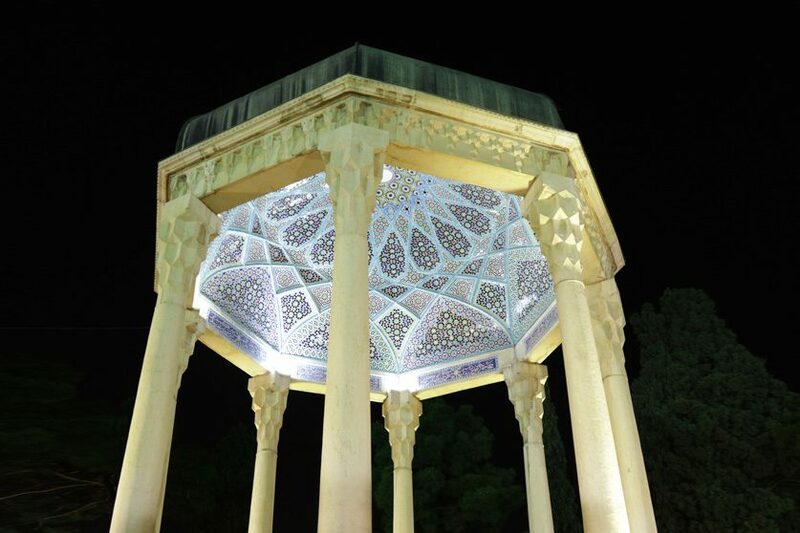 By doing so, the German artist returned to the holy place where the famous Persian poet Hafez (1315–1390) had been born and buried. 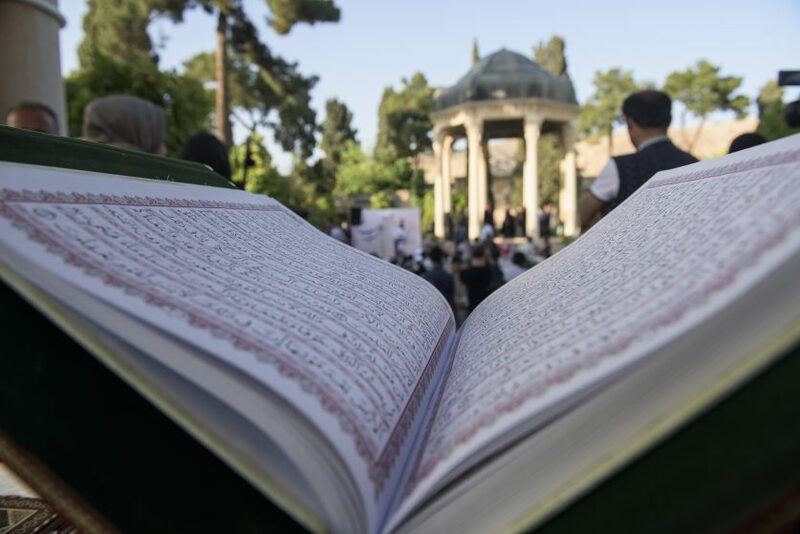 The overall 42 sheets of the artwork were exhibited along the round walks around Hafez’ grave. 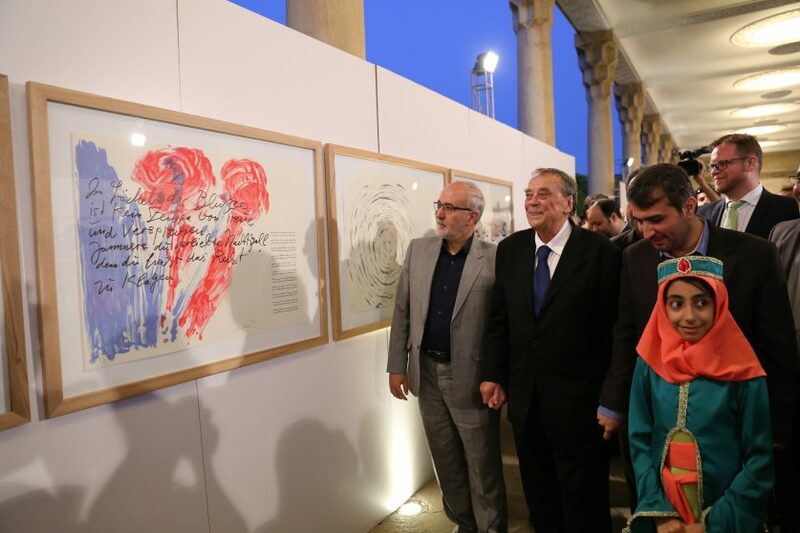 “Homage to Hafez” symbolizes a deeply creative act that found its expression in abstract and textualized compositions, at the same time dominated by a pastel-like broken vividness. 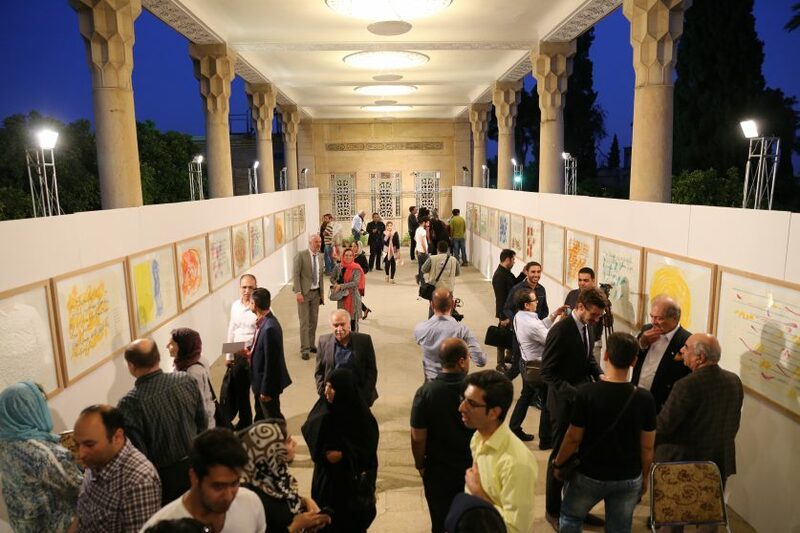 After Uecker had been working on the “Hafez-portfolio” for two years, it could celebrate its premiere on May 1 in cooperation with the City of Shiraz, the TMoCA and the Embassy of the Federal Republic of Germany. 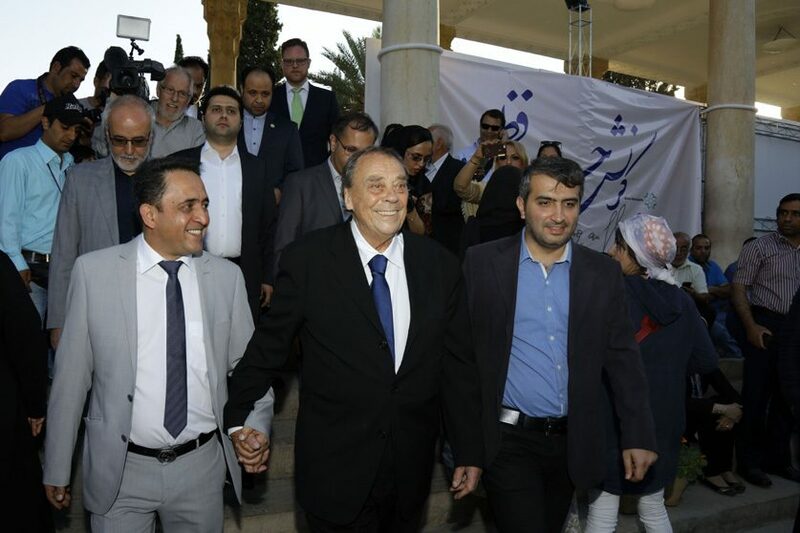 The people crowded densely around Uecker, striding towards the tomb of the poet Hafez. 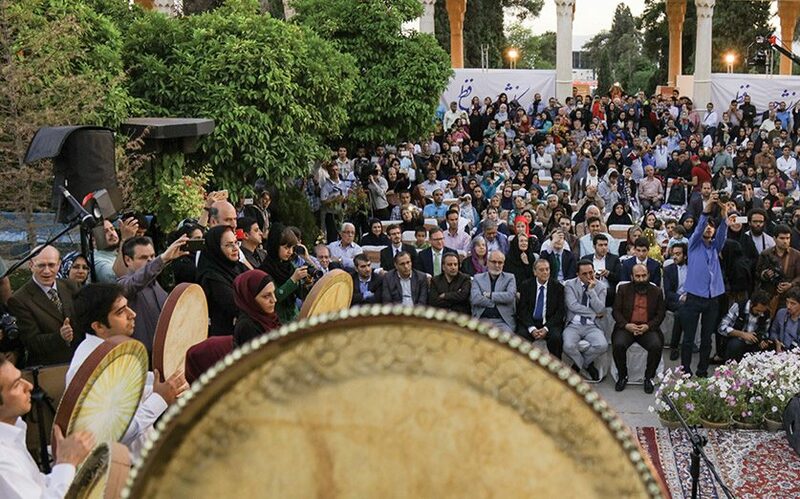 Iranians celebrated the artist, whose walk was accompanied by a brass band, like a hero. 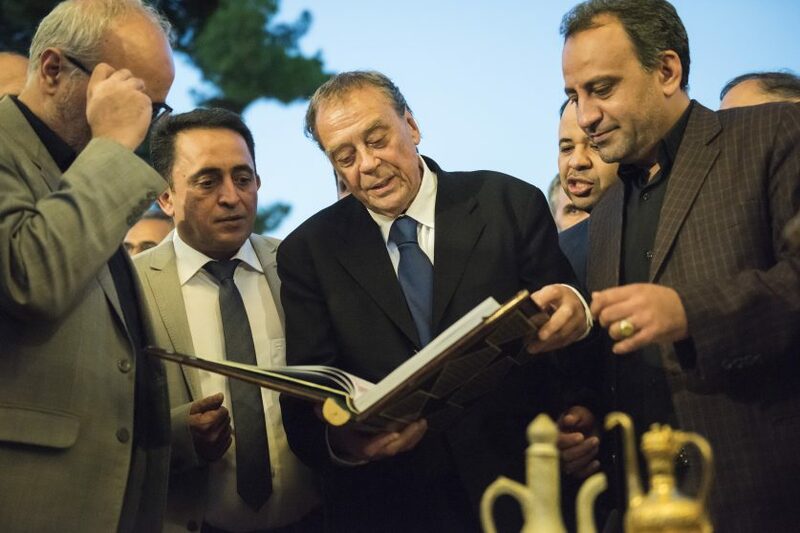 An act, attesting deepest respect for the German artist, since in antique Persia this ceremony was granted only to messengers of foreign powers on their way to the king. 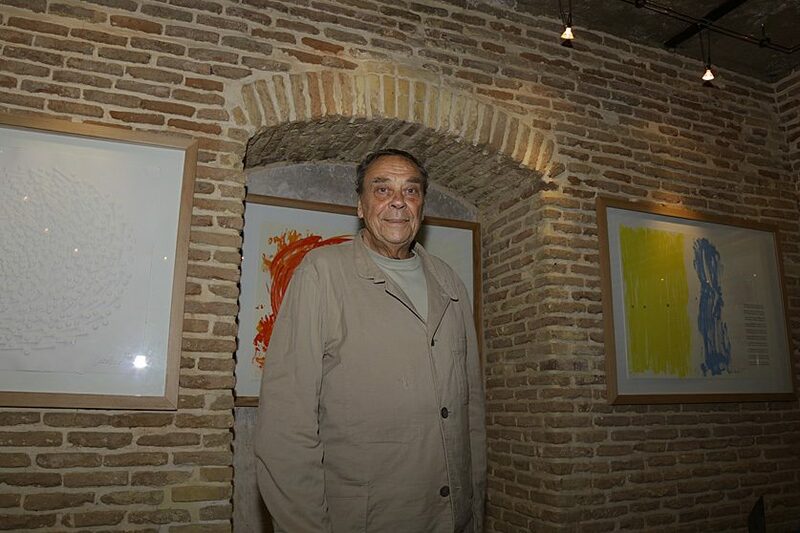 The artist himself appeared overjoyed and overwhelmed by the positive reactions on him and his artwork. A touching encounter of two cultures whose link symbolizes the power of art. 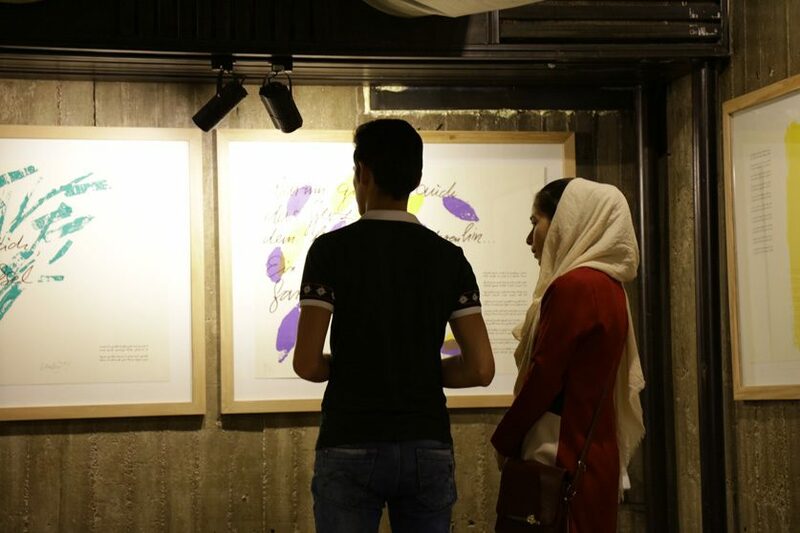 After the ceremonious opening at the Hafez Mausoleum, the exhibition shifted for one month to the Central Library in Shiraz right the next day. 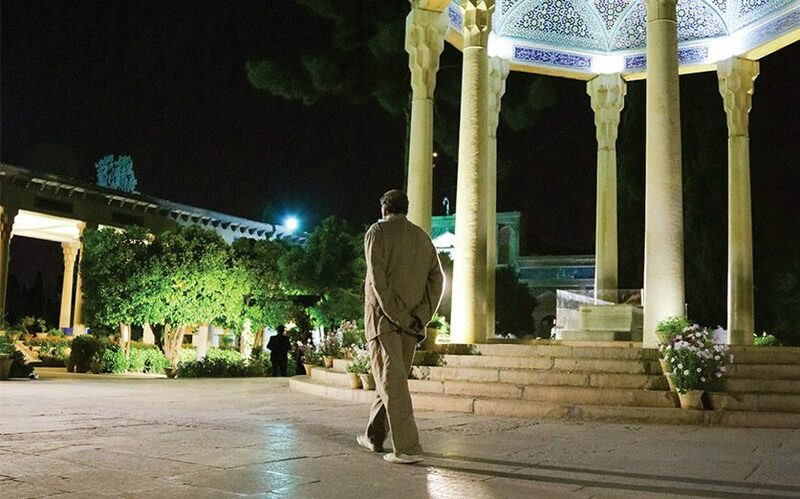 A successful start for a long lasting friendship between Iran and Uecker.